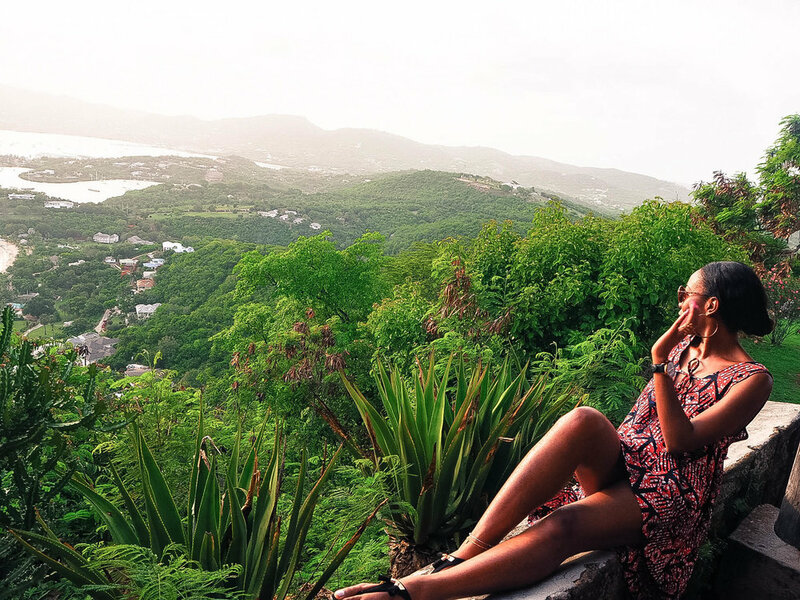 Shirley Heights, a restored lookout located in a military complex, is one of Antigua’s most popular historical landmarks and it boasts exceptional views of not just the surrounding English Harbour but on a clear day, neighbouring islands of Guadalupe and Montserrat. The best part of the Shirley Heights Lookout, however, is the Sunday Barbeque parties which have been running for 33 years, come rain or shine. The pulsating rhythm of the steel band kicks off the party at 4 pm. This is when tourists and locals alike grab some of the mouth-watering barbeques on offer, a rum cocktail or two, and walk around the grounds, looking for vantage spot for the sunset. We tried the jerk chicken and pork which were so good we ordered extras to go back to the hotel with. We were gutted it was a cloudy evening following a rainstorm earlier in the day and so could not see as far away as neighbouring islands, especially Montserrat, a volcanic island we had wanted to visit but couldn't because of the tight ferry schedule. Nevertheless, the views of the harbour dotted with yachts were simply stunning. 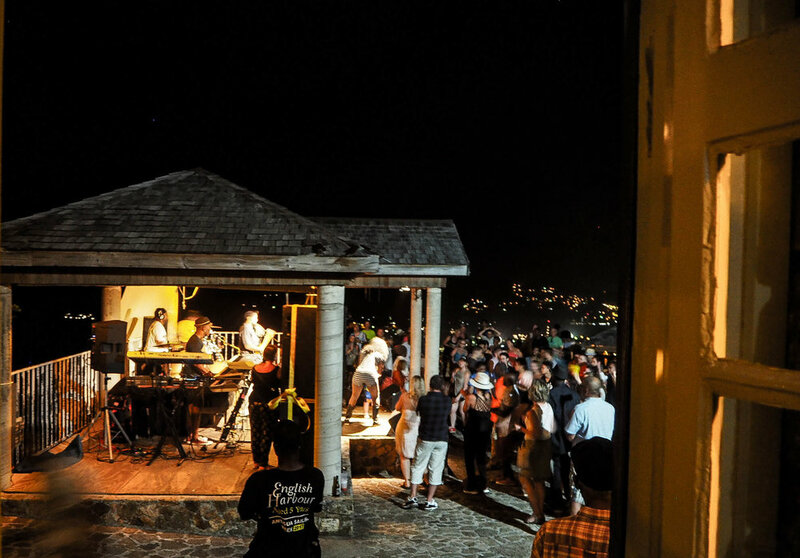 Once the sun is set, the live band takes the stage at 7 pm and crowd congregate to party the night away. We started at the back of the crowd, made our way to the front and somehow found ourselves on stage dancing along with the band. We were high on life and rum punch. Shirley Heights was one hell of a party! It is a must do for a Sunday night in Antigua. Subscribe to Miss Jayla to make sure you never miss a post! I promise never to pass on your email address to third parties. All data is stored safely and confidentially. You may not, except with our express written permission, use, display, distribute or commercially exploit any photograph or text from this site. Nor may you transmit it or store it in any other website or other form of electronic retrieval system, link back or not. All rights reserved.